for $219,500 with 4 bedrooms and 2 full baths, 1 three quarter bath. This 1,986 square foot home was built in 1983 on a lot size of 0.40 Acre(s). Great tri-level home with 4 bedrooms and 3 baths. This home is located in the Ridges subdivision with a spacious backyard and a corner lot. The kitchen is open to the dining room and features a door to the attached 2 car garage. The living room features a bay window and wood laminate flooring. The master bedroom also features a bay window and looks out over the front yard. 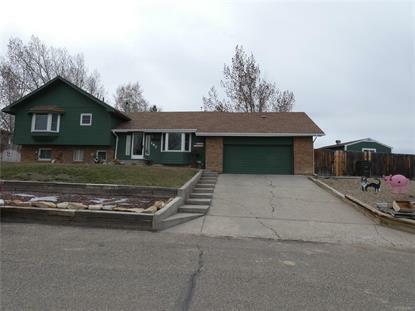 The comfortable back yard has an attached deck, sprinkler system, Spruce and Aspen trees and a nice garden area plus a large storage shed.